Once you have moved into a new home or are ready to hookup the water to your new home, contact the Town of Bainville Water Operator for a new cellular read water meter and endpoint. The Town of Bainville will provide the property owner the first meter but if the meter needs to be replaced, it will be at the property owner’s expense and will be billed by the Town. The Water Operator or Assistant can put the water meter on for the property owner but they will not do any plumbing to the meter. The property owner must provide the shut offs to the meter. 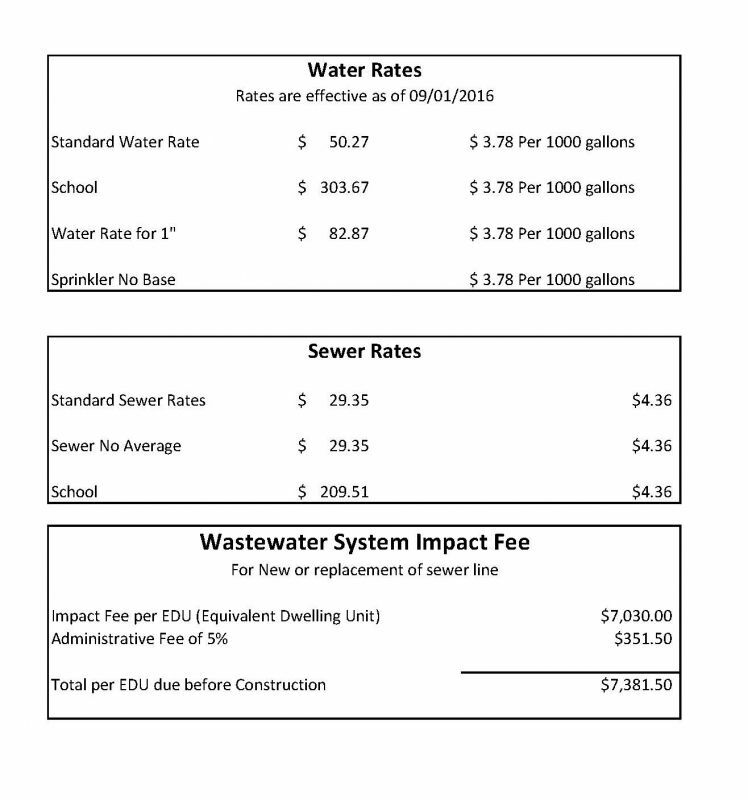 Listed below, you will find the Town of Bainville current water rates and policies. If you do not find the information you need, please contact our office and we will provide it for you.